Yes! This post is kind of late, but better late than never... Right? Now in science, equations help you to figure out the end products of a reaction. The equation displays the products resulting from your reactants, which are usually very predictable. However, in this reaction, I ended up with a byproduct of White Chocolate Peppermint Fudge that I definitely did not anticipate, but thoroughly enjoyed! I confess that I'm not really sure what I was thinking... Tylose Powder is usually used to make Gum Paste, and is the ingredient that causes it to dry hard and keep shapes when decorating cakes. Nevertheless, I stirred the mixture until it was VERY thick, so much that it formed a huge glob that I realized would never blend into the butter and sugar I had already creamed. As I scooped the glob onto a plate I couldn't help but notice how much it resembeled caramel chews. I pulled off a piece and I was in heaven! " Did I just make my own Werther's Chews?" I thought. I set it aside, covered in plastic wrap, and to my "surprise" it hardened by the next day. 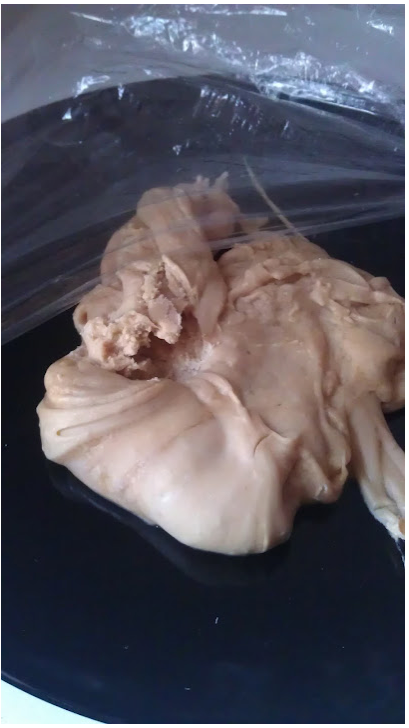 A friend came over and saw the plate on my counter and was initially put off by the odd appearance of the huge glob (picture above). " WHAT is THAT??!!" he exclaimed and I encouraged him to taste it. He was a little hesitant but he uncovered the plastic. Shocked by the yummy smell, he quickly cut off a little piece to try. When he put it in his mouth his eyes lit up instantly! I had to fight him to get my plate back because he began to devour it all. lol His wife came over later that day and I offered her some, but she refused and resolved to nibbling on some fruit. I'm not sure when, but some time during the course of her visit she made it over to the plate and began going back every 5 minutes, chipping away at the chunk of fudge. LOL (They are two peas in a pod!) But I really could not blame them because the fudge was D-licious!!! 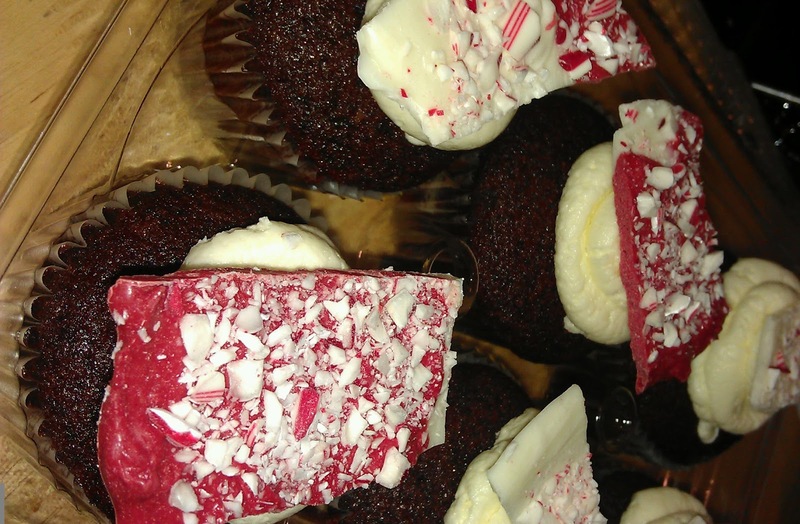 Nevertheless, I ended up with a Peppermint Buttercream Infused Red Velvet Cupcake topped with Peppermint Bark (below) and some awesome White Chocolate Peppermint Fudge!